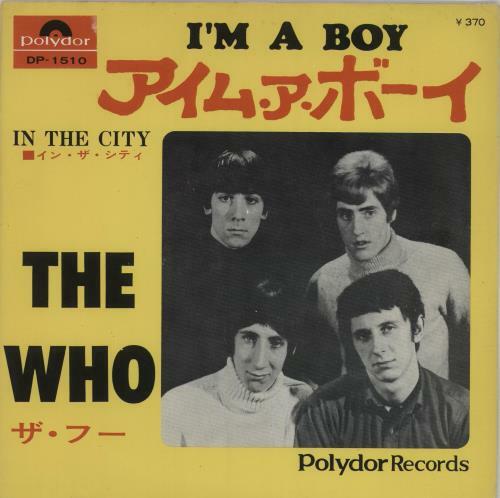 THE WHO I'm A Boy (Extremely rare original 1967 Japanese Polydor wide-centred white label promo sample 7" vinyl single, also including In The City. 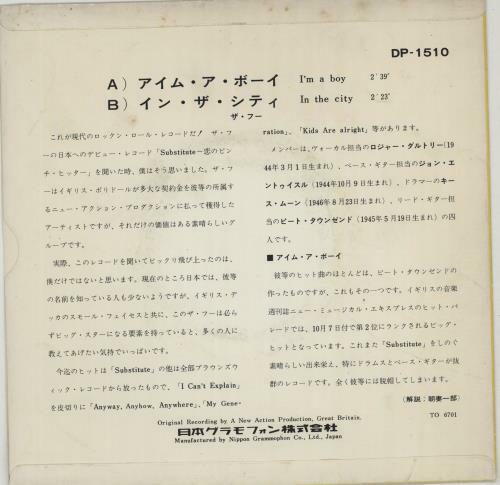 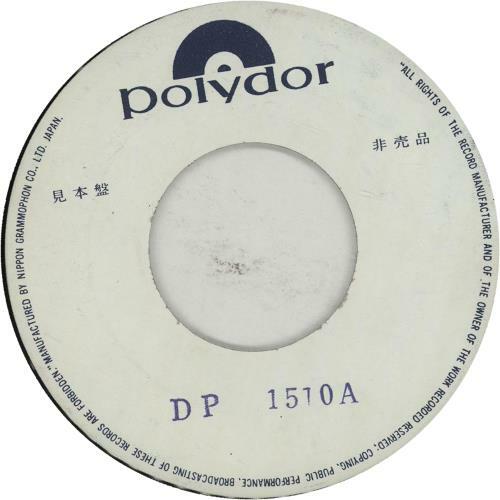 Housed in a unique yellow bordered silk flipback picture sleeve with lyrics on reverse. 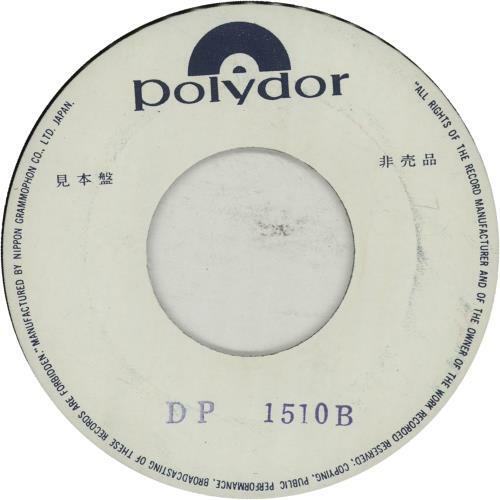 The sleeve shows only a little light storage wear and the vinyl is in 'near as new' condition with very little signs of play DP-1510).